I talk about the TLC (temperature, level, clarity) often when I give a river report. The value you get when observing these three can make or break a day of fishing. In northern VT, we’ve had poor T&L, but good C most of the season. 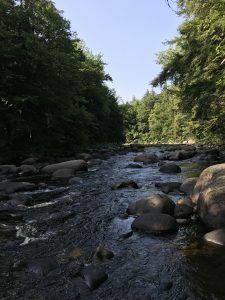 With river temps mostly in the mid 70’s and nothing but garden varieties of rain, big river and for a portion of the summer the small and mid sized streams were off limits to C&R trout with bad T&L. Generally around mid August things start to take a cool change. We have been finding many of the small and mid sized streams cooling off. Especially in southern sections of the state where they have been getting a generous amount of rain. State wide recieved and inch plus of precip over night. The next 10 days, air temps will mostly be in the mid 70’s and low 80’s for highs, and low 60’s for lows. This should get watershed in the north in good shape. 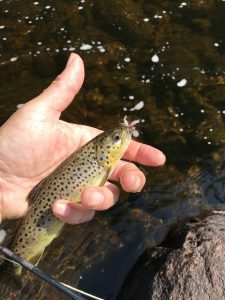 Fishing for trout has picked up, but not by matching a hatch necessarily. 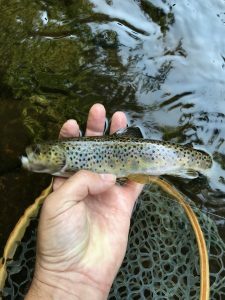 If you look at a hatch chart for this time of year, you probably notice that no one reporting for Stream and Brook is catching fish on any thing on the chart. This is because the places where good hatches happen have been off limits to us and because the high water temps are not ideal for hatching insects. What has been working are terrestrials. Hoppers, ants, crickets and high floating buggy attractor patterns. I’ve been over to the Adirondacks a couple times during last week. 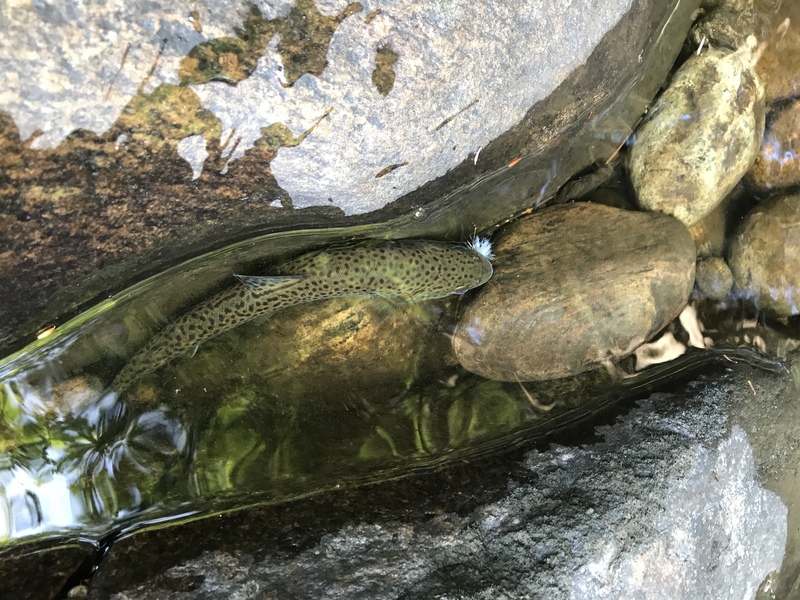 After a good rain Thursday night I hit a trib to the upper Hudson River in the morn and found some early risers on a green mountain hopper and Ausable Wulff’s. As rivers become cooler for the trout the air temp starts to get more comfortable for the angler as well. We have hatches that are important from now through September which are the ISO and white fly hatch. Be sure to have flies that imitate all phase of these insects as well as caddis and you should do well as things turn around.